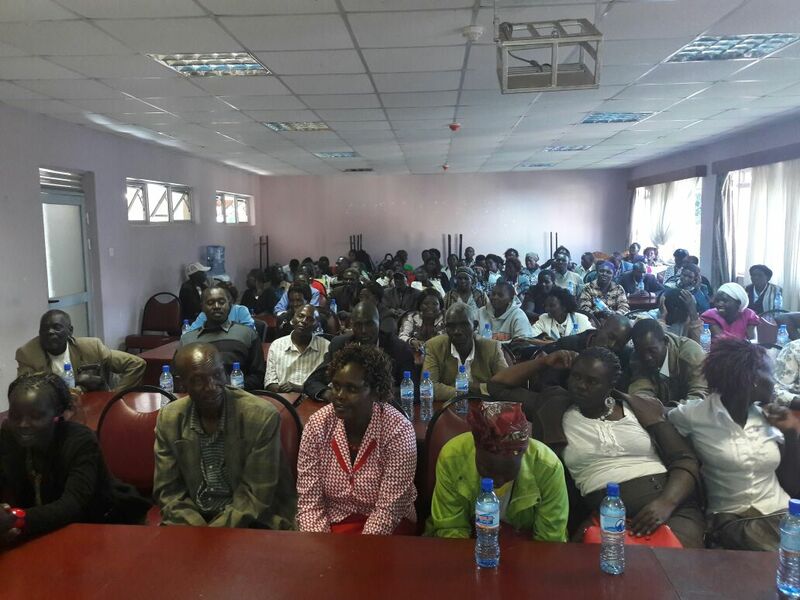 On the 28th November 2016, Kenya Agribusiness and Agroindustry Alliance (KAAA) through one of its officials had been invited to a meeting in Kabarnet Town at Kenya School of Government in Baringo County. The meeting had been organized by a Non-Governmental Organization called Hand in Hand East Africa and a privately owned company called African Bee keepers Limited. Additionally the meeting pooled farmers along the honey value chain from three areas: Eldama Ravine, Kabarnet and Mogotio which have 342, 350 and 256 members consecutively. However, not all these members attended during this day but only a representation comprising of 82 Members (51 were women, 15 were men and 16 were youth). 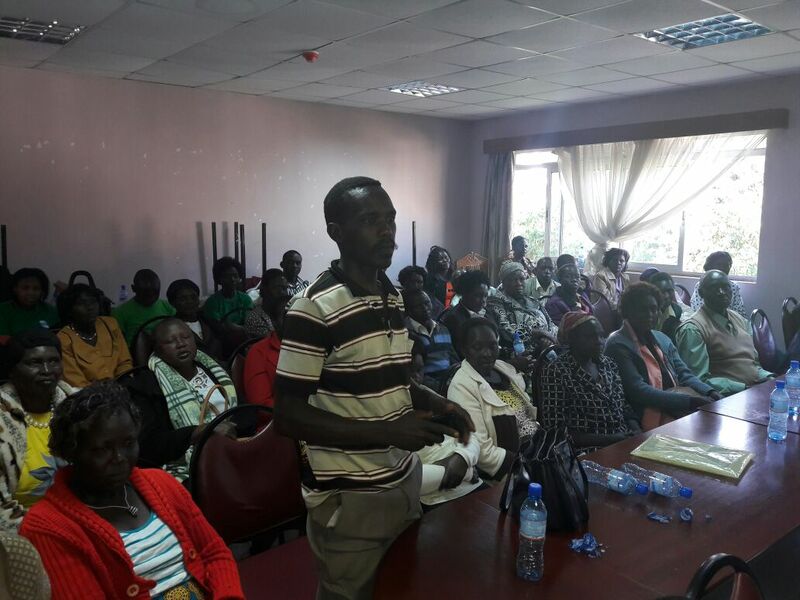 First, the meeting aimed to communicate the overall progress of the members within the Baringo Honey Value Chain Project which was kick started by Hand in Hand in collaboration with African Beekeepers in June 2015. So far, from the overall total membership, 482 langstroth beehives, 2 beekeeping suits, two centrifugal machines amounting to an approximate value of Kshs 2,456,980 had been bought by the members. 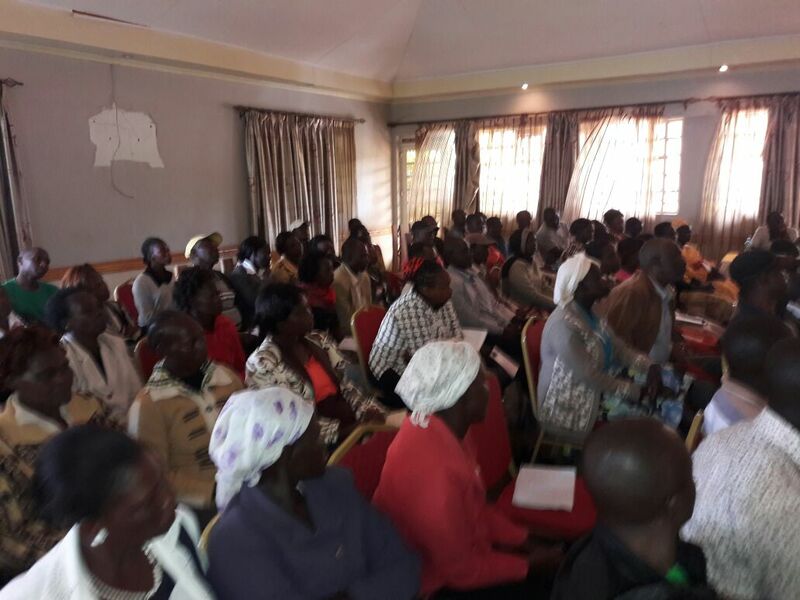 Second, the meeting aimed at guiding the members through the process of establishing a cooperative enterprise for their honey value chain. 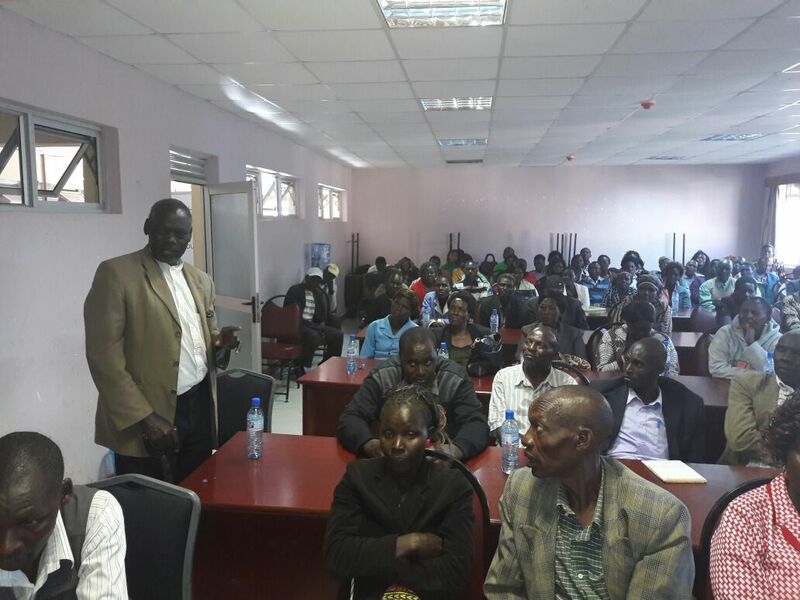 The County Cooperative Officer for Kabarnet sub-county had been invited to take the group through the requirements, principle and guiding ethical values of starting a cooperative. 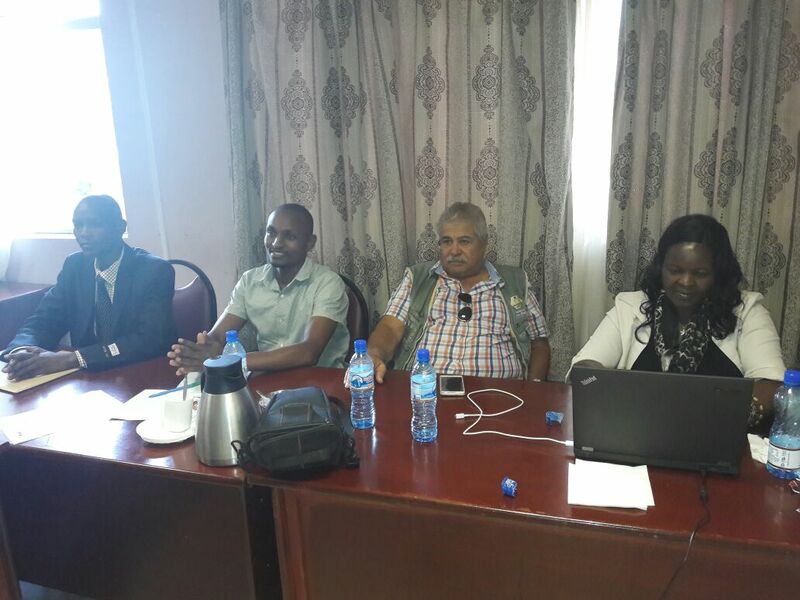 Lastly, the meeting also took a deep focus on challenges stifling the progress of the honey value chain. Although the challenges related to finance, and group organization cropped up, the most outstanding drawback related to the taxation of Value Added Tax (VAT) on bee keeping/ production and processing equipment. This creates a huge strain on the farmers when they attempt to purchase these equipment. Pauline, the CEO of Hand in Hand communicated a couple of attempts she has made by approaching the county CEC Agriculture for Baringo County but none of these efforts had seen the tax eliminated so as to make these equipment more affordable. KAAA, through Kevin took note of this apparently pressing challenge and promised to work on developing a concept to the relevant national government authorities so as to advocate for the elimination of such tax policy and render these equipment cheaper to the farmers. This process is currently underway and KAAA is committed to ensure that this process comes to a success for the benefit of these farmers and others in others located in other regions. The value chain development process initially started by HiH working with a dedicated team of field officers who did a comprehensive mapping of the various dispersed farmers within the various wards in Baringo County. This was prompted by the emerging need that farmers would only sell their honey to middlemen at very low prices (Kshs 100-150 per Kg) and that they were not able to enhance the required quality of honey due to poor hive management and poor honey harvesting and processing techniques. After identifying the farmers, more emphasis was laid on the need of these members to form groups at will. This would enhance ease in delivery of training modules and further engagement with the groups. With the recognition that HiH needed a private entrepreneur with immense and most relevant knowledge and experience in bee keeping, honey processing and marketing, they invited African Bee keepers Limited to provide these services and together develop and strengthen the entire value chain. Perhaps one of the most emerging strengths of this working relation could be explained by the initial focus on the need for detachment, independence and continuity after project support from the two parties (HiH & ABL). Right from the conception of the project, members were instructed on the need to self-finance or pool their resources as a group and purchase the equipment on their own means. So far, a total investment of KShs 2,456,980 has been committed by the members on their own financing mechanisms devoid of any donor assistance. This has proved to be very important for this project to work since members acknowledge the need to so out of their own will as opposed to donor funded projects where assets are given for free. Actually, in the course of the meeting members gave accounts of various other donors that had donated bee hives within Baringo County but the progress of such initiatives had been dormant and some had even stalled or totally collapsed. To empower the group members, negotiated and discounted prices for equipment for bee keeping and honey processing have been worked through between HiH and ABL. ABL manufactures beehives and other bee keeping, harvesting and processing equipment,. Currently, ABL has been offering a discounted prices for their beehives and other honey harvesting and processing equipment to farmers within the Baringo Honey value Chain Project. To address the challenge of poor prices for honey and poor quality of harvested honey, HiH has commissioned ABL which has a dedicated team of field technicians who inspect the progress of the hives on a monthly basis and eventually harvest the honey themselves while also training the farmers to the same. This not only ensures that the quality of honey meets market requirements but also that the farmers get to learn how to harvest honey while enhancing its good quality for market purposes. Notably, ABL purchase the harvested honey from these farmers but unlike the case with exploitative middlemen, ABL offer a market competitive price of Kshs 400 per Kg of honey. These competitive prices and free of charge services offered have motivated the active participation of the members within this project and the numbers are rising with time. For instance, more members continue to place orders for bee hives, bee suits and centrifugal processing machines from ABL. In order to ensure continuity of the groups and the project at large, members have been trained to be independent. This has been done through training on the need to save more and invest in future, record and book keeping by HiH. Moreover, the idea of forming a honey value chain cooperative will ensure the independence and formalization of the group and will promise the continuity of the project even after the assistance from HiH and AbL have pulled from the project. Besides these interventions from the two partners directed to the group, ABL and HiH have been working on identification and feasibility assessment of the export market for the honey and honey products. This has been necessitated by the fact that the price premium associated on good quality honey in Kenya is more often rarely appreciated. To depict this, the CEO HiH, brought two samples of domestically packaged honey; one was good quality and the other had been adulterated but surprisingly they fetched almost the same prices for the same one kilogram packages. The partners realized that for the good quality honey from the Baringo Value Chain Project to be appreciated through a price premium, one of the most viable options was to export. This could fetch better prices but they needed a unique brand to identify and recognize the source, it is partly from this need that the idea of forming a Cooperative for this promising project emerged. This would potentially boost the image and reputation of honey from these farmers. KAAA remains committal in supporting such initiatives which ensure rural community empowerment, creation of decent jobs for youth, women and men and income generating projects that can hold water even after partner exit. Such is the case with the Baringo Honey Value Chain Project currently in the pipeline courtesy of Hand in Hand East Africa and Africa Bee keepers Limited in Baringo County. KAAA is looking for ways to collaborate with these partners and upscale this commendable initiative to other counties which have the ability to practice viable bee keeping.